The presence or absence of a fruiting body, or ascocarp, is used to classify the Ascomycetes. 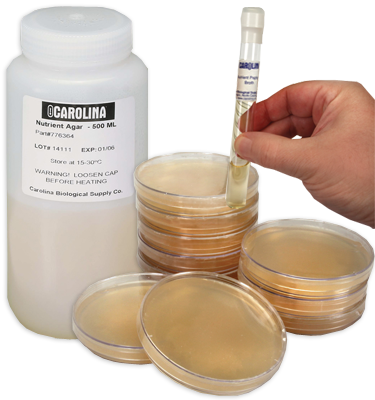 Set includes one example of each type of ascocarp (plate culture): apothecia (Anthracobia muellen), cleistothecia (Eurotium cheralieri), naked asci (Schizosaccharomyces octosporus), and perithecia (Sordaria fimicola). A microscope is required.